Last week I spent two glorious days with my garden photos from Paris getting ready for a talk for the Newburyport Horticultural Society which I will be repeating at the Newburyport Public Library on April 22 (7 PM, free, and open to all). After assembling the 200 slides for the presentation (chosen from a much bigger collection), I couldn't resist playing with some of the images. 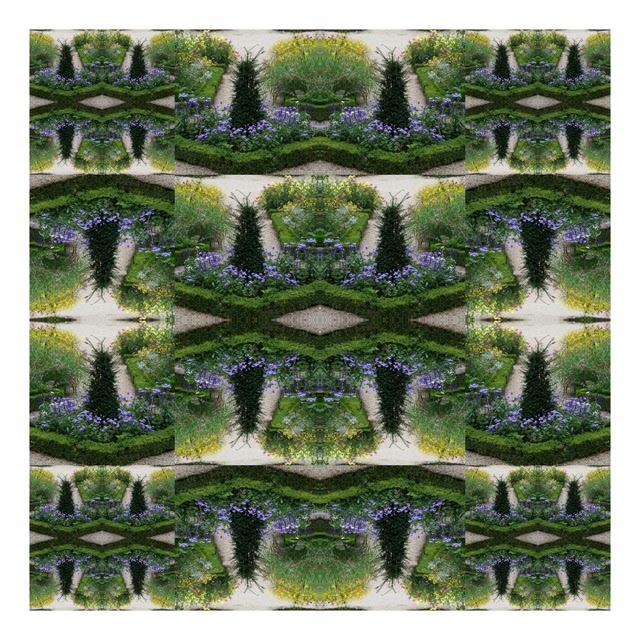 This one is from the Jardin de l'Hotel de Sens. I look forward to spending more time with them, but in the meantime I have printed out a copy to cheer me as I assemble tax information for the accountant. Besides the general malaise that I feel when I spend time with numbers, there is the added discouragement of tallying up a year's worth of expenses and income and seeing the results. Here's to gardens and the coming warm! There are other photos from that garden here. And a complete list of all the gardens in the talk here. And a flyer for the upcoming talk here. 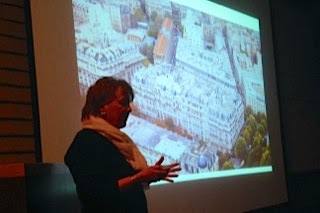 And a photo from Tuesday's talk. Thank you Rebecca!